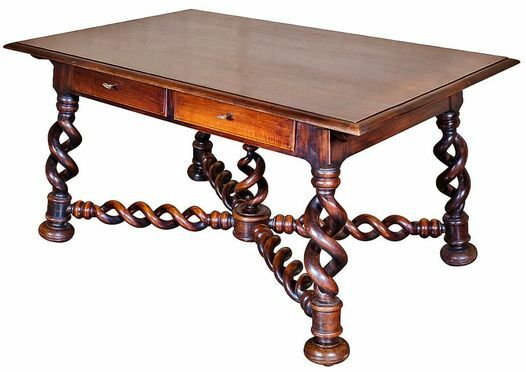 ﻿A rare and exquisite Louis XIII style open torsade (barley twist) writing table from the Burgandy region of France. 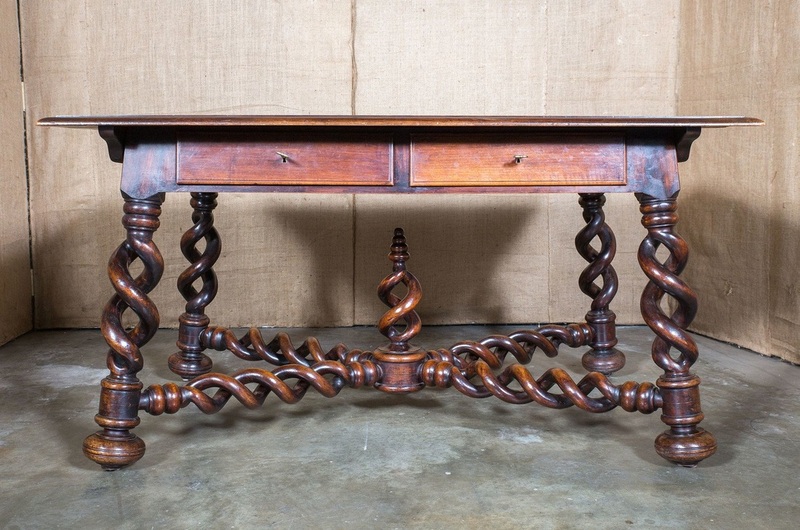 This hand carved solid walnut desk features a beautiful beveled edge top with a visible yet subtle grain above two drawers resting on four splayed open barley twist legs, ending in pieds de camembert (bun feet). 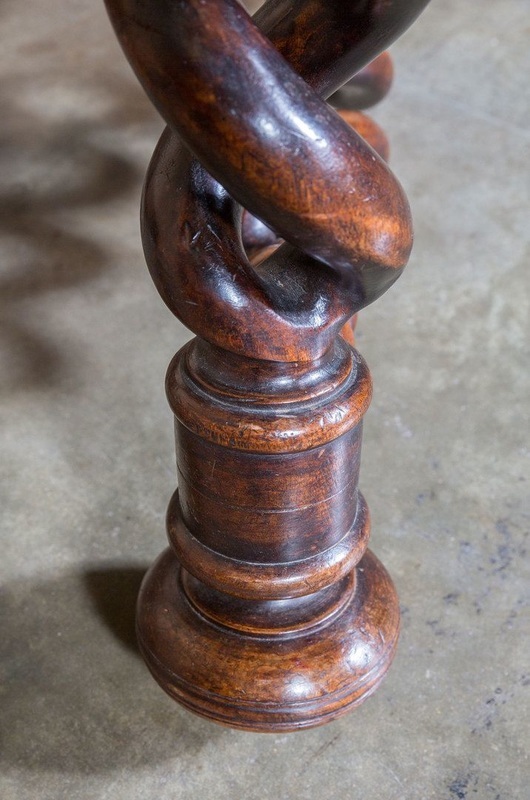 The legs are joined together by an open barley twist "X" stretcher with finial. Only the highest quality pieces have the barley twist "X" stretcher, and the open torsade of the legs is not only rare and unusual because of the difficulty of execution, but also for the weightless appearance conveyed by the graceful spirals as they appear from the base and then disappear into the top. 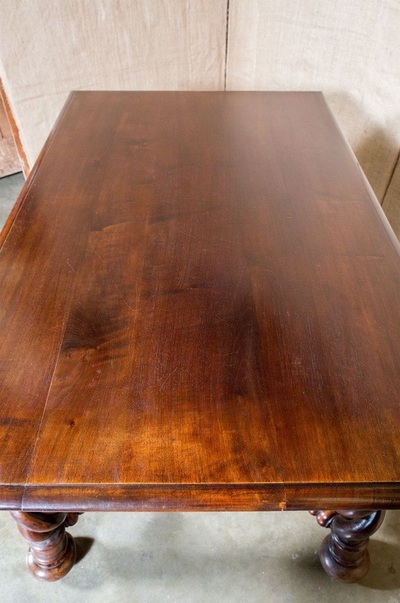 This table can serve many purposes from its original, as a writing table or desk, to a console table or center table in a living room or entryway. 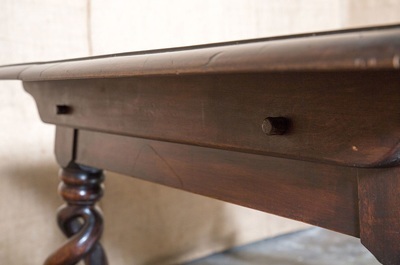 The top has four pegs for easy removal during transportation. Original keys for each drawer. 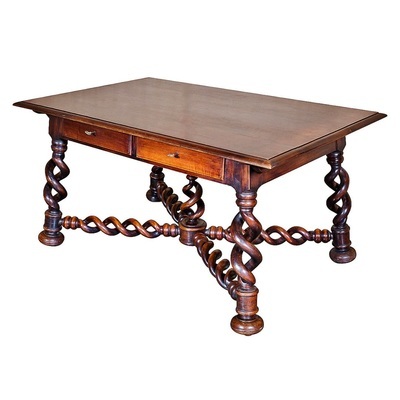 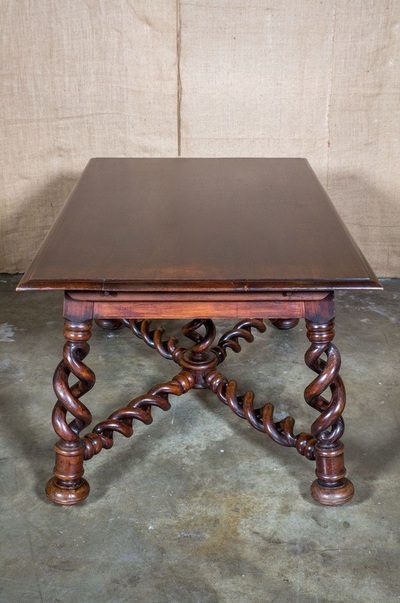 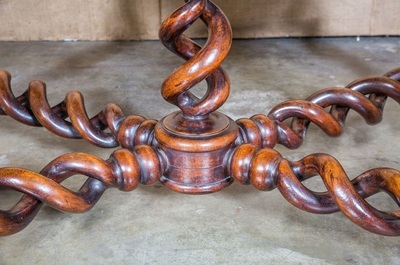 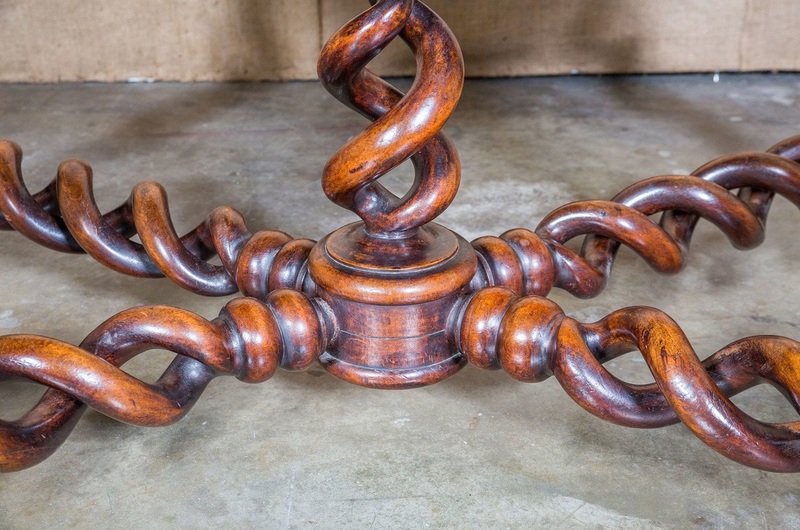 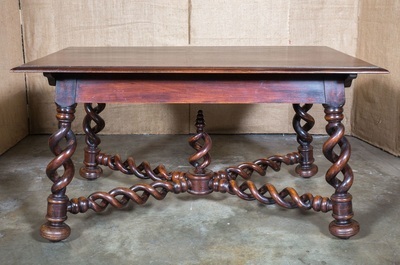 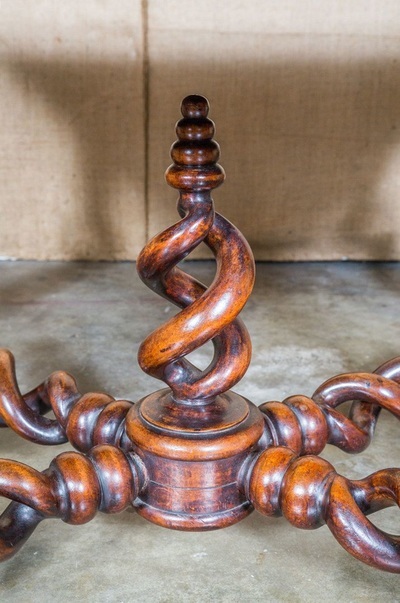 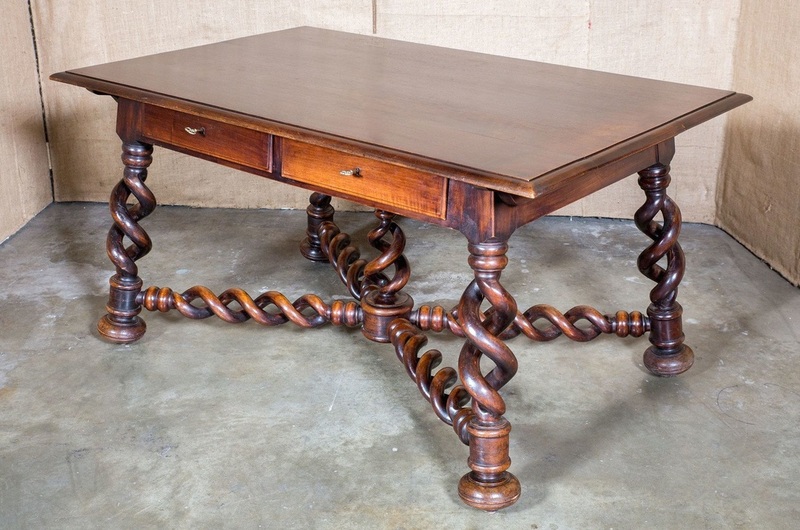 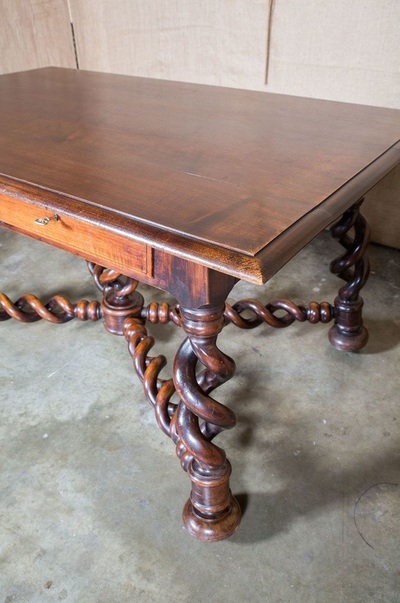 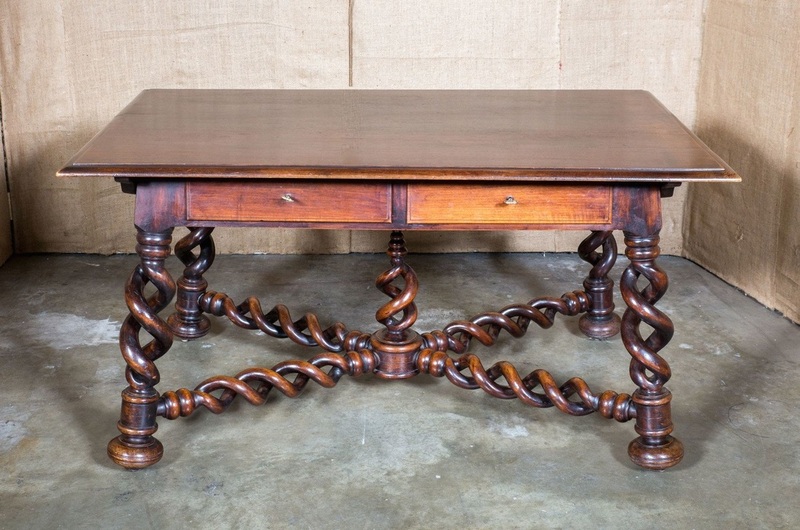 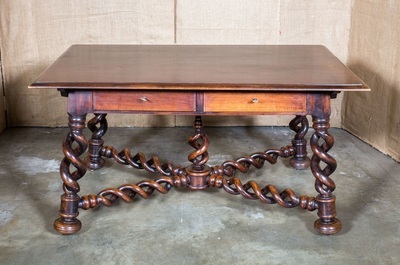 In France, the twisted column or torsade was a major element in furniture design during the reign of King Louis XIII. 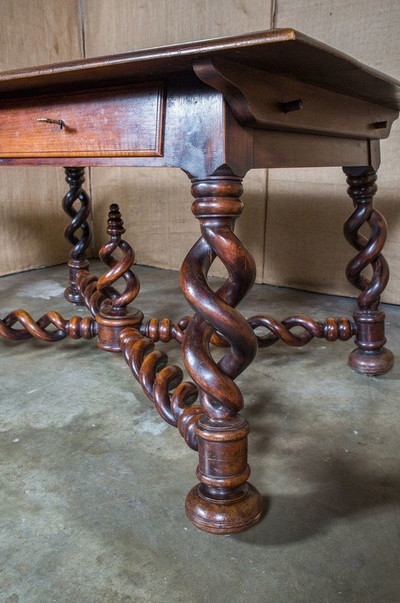 Beginning in the late 18th century, and lasting for nearly one hundred years, there was a revival of interest in Gothic and Renaissance style. 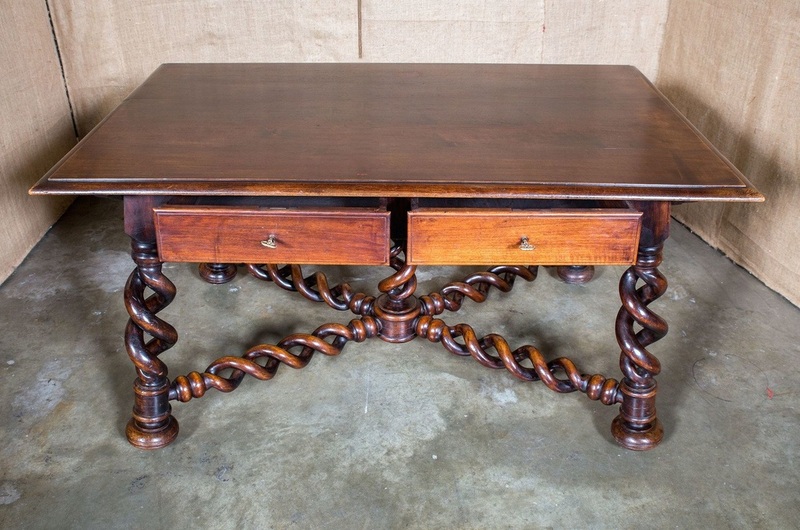 We describe several pieces as Louis XIII style for their use of torsades, yet they are more in the French Country tradition, and do not approach the level of artistry and delicacy of this desk. 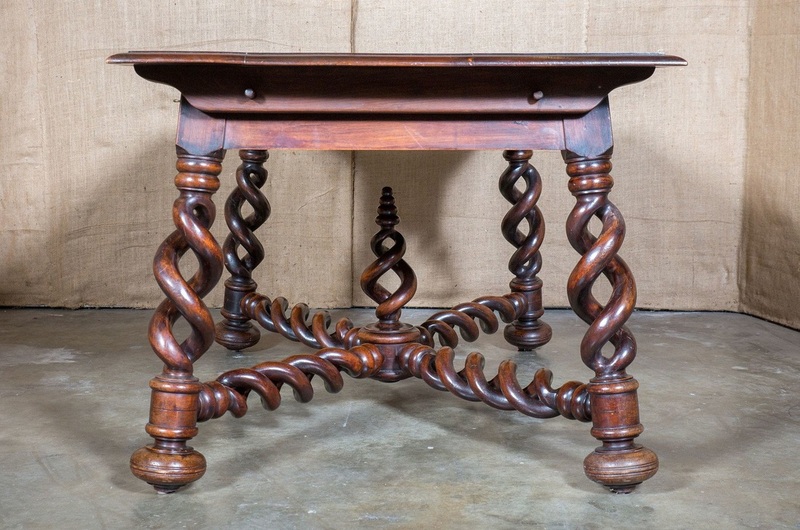 Open torsades or spirals, such as the four that form the legs and stretcher of this table, were each carved from a single piece of wood. There were only a few highly skilled artisans able to master this technique and it was considered the height of professional accomplishment for those that did.